Adnan Sami has a special command on Indian classical music notes. He developed his musical style and technique on the Piano, evolving a new sound, which he pioneered and ultimately introduced to the world, thus becoming the first person to play Indian classical music on the electric Piano. As a classical concert pianist, Adnan Sami has had the honour of giving performances before heads of governments such as President Mitterand of France, President and Prime Minister of India, President and Prime Minister of Pakistan and Prime Minister of Sweden. Apart from this, Adnan has performed for prestigious music festivals to sold-out stadiums of his concerts all over the world. Ecstasy, a 1990 album, is part of Adnan Sami’s journey into the world of Indian classical music, a world that he, unfortunately, abandoned in the later part of his career. Ecstasy has four tracks including one in Raga Khamaj. I am skipping this one as it has already been featured in one of my earlier posts, and was also part of Adnan’s earlier album. It is surprising, but no details about Ecstasy is available anywhere. 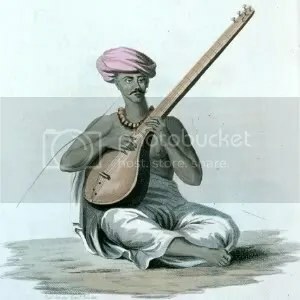 The whereabouts of the accompanyists, like the Tabla player, are unknown. Can someone find them, please? Note : N.W.F.P stands for North West Frontier Province, the most northerly province of British India, now in Pakistan.